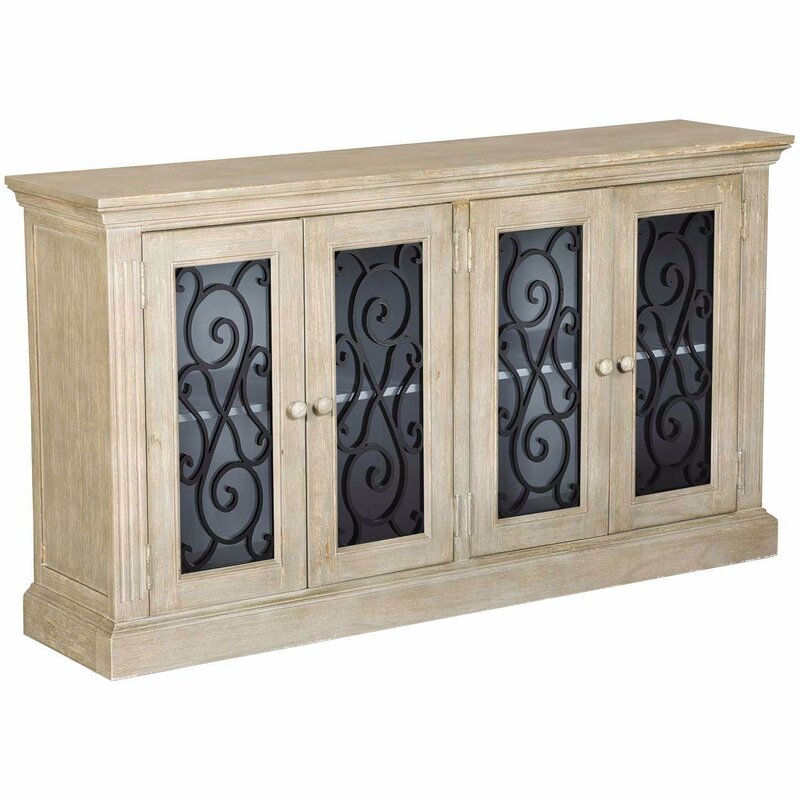 Add some vintage charm to your home with the Mirimyn Gray Accent Cabinet by Ashley Furniture. 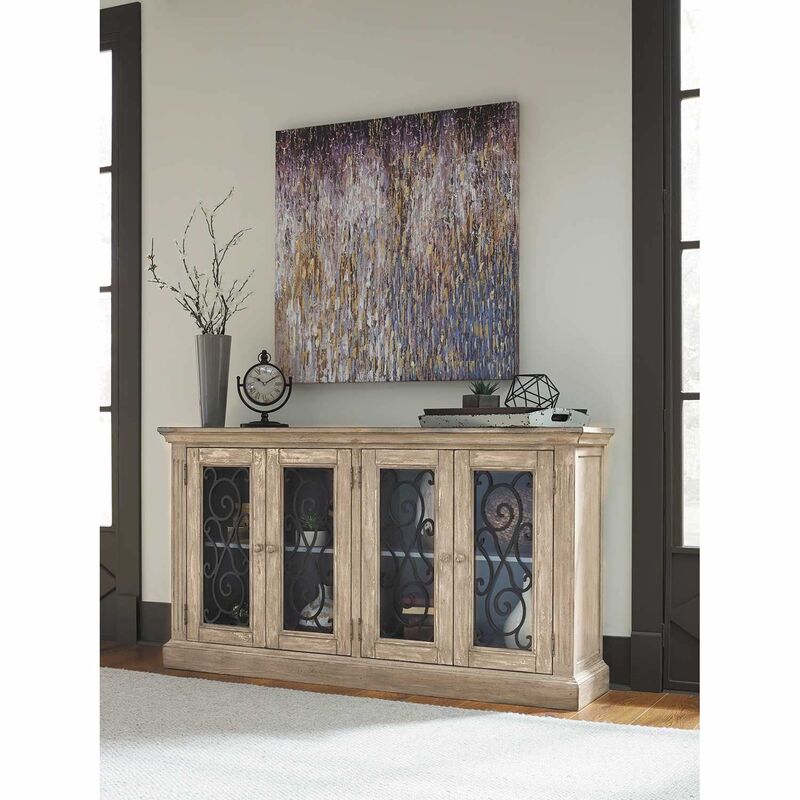 Mirimyn Gray Accent Cabinet by Ashley Furniture. 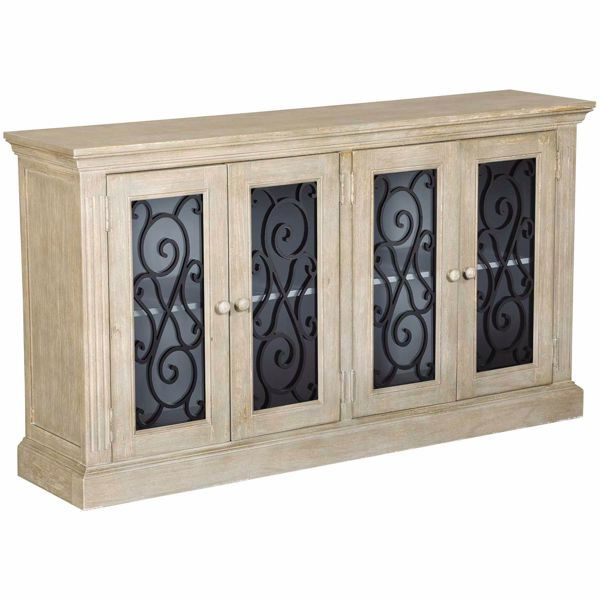 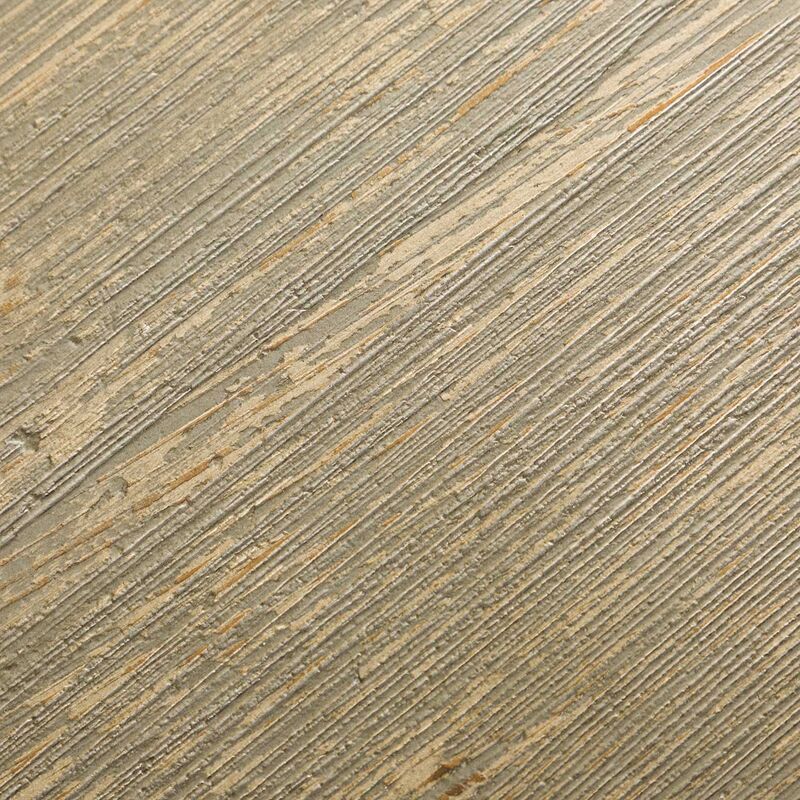 Finished in an antique gray finish. 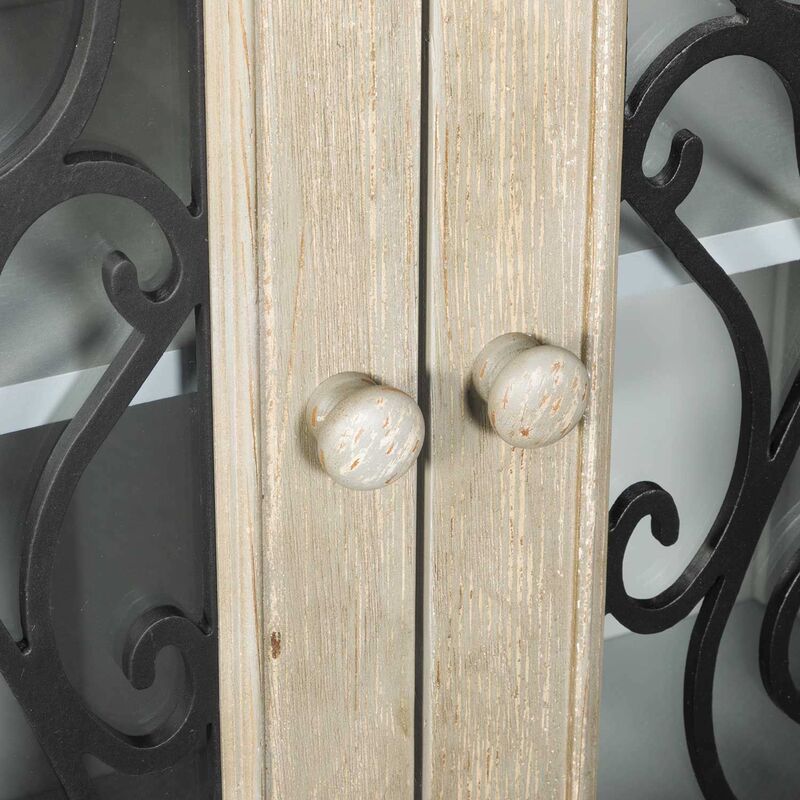 Features four glass doors with a scroll pattern.